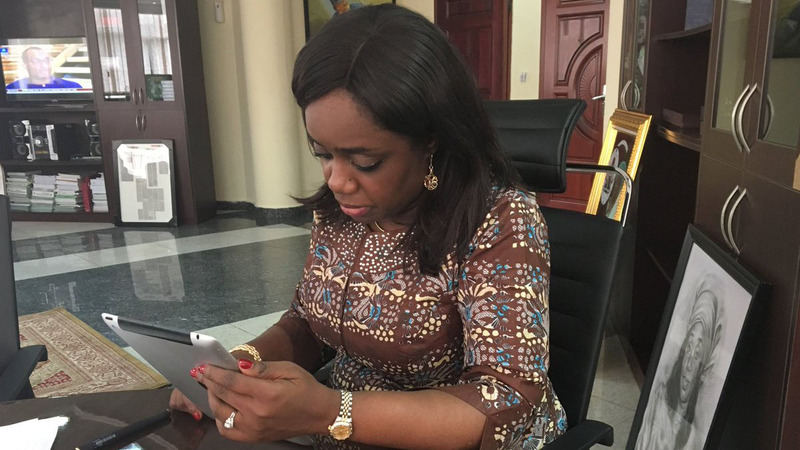 I had written an article some weeks ago on the Kemi Adeosun matter titled “Ungolden Silence.” I had said in that piece that it was wrong for Mrs Kemi Adeosun, who is Nigeria’s Minister of Finance to keep quiet on the issue of her non-service in the compulsory National Youth Service Corps (NYSC) scheme which is meant for Nigerians who graduate before they are 30 years old. Mrs Adeosun graduated from a higher institution in the United Kingdom at age 22 and worked there for some years before returning to Nigeria. Apparently, because she lived abroad for so long she thought when she returned at above 30 years of age that she only needed an exemption certificate to be able to work in Nigeria. Let us take the two issues seriatim. Sagay, a professor of law, a Senior Advocate of Nigeria and an Adviser to the Federal Government on Anti-Corruption matters is a very important official of the government. Such an eminent law expert ought to advance only views that can improve the justice system in Nigeria. The question of competence or non-competence of Mrs Adeosun does not arise at all in the NYSC default matter because competence is not a defence in any criminal matter. What is a defence is non-commital of an offence. Secondly, no one is so competent in any system that he or she is indispensable. Mrs Adeosun is not. Thirdly, if Professor Sagay pursues this line of argument as an Adviser and the government accepts it we will get into a legal quagmire and the government’s anti-corruption campaign will be gravely hampered even more than it is at the moment. His advice is a baffling repudiation and vulgarization of Nigeria’s justice system. It is rejected, roundly rejected. Professor Sagay may say that his view is personal. By his position any view that he expresses on corruption is official, not personal. If he is looking for a subject on which to express his personal opinion I suggest the weather, a subject in which he is neither an expert nor an adviser. Professor Sagay’s solution to the Adeosun debacle is no solution at all because it is capable of compromising the government’s position on its anti-corruption programme, a programme that already has a K-leg. I envisage that the Government needs Mrs Adeosun’s continued exertions now and does not contemplate dropping her just a few months to the end of its tenure. Let me suggest a soft landing for her and the government. This is based on two extenuating factors. One, she was born, raised and educated abroad. She also worked there for some years before relocating to Nigeria. In those days, communication between Nigeria and its citizens in the Diaspora was not as good as it is now. Now the soft landing. I suggest three measures (a) she must serve in the NYSC scheme now. As a foreign graduate she could serve in the Ministry of Finance where she is now and receive her current salary. However, when she goes for community service on any day of the week one day’s pay must be deducted from her salary. Many private sector organisations that accept corps members operate this way. (b) She must apologise to Nigerians for the errors. (c) If she wishes she can donate her NYSC allowance to a charity of her choice. This will be a way of mollifying the feelings of Nigerians on this matter. It will also bring peace to her troubled heart. It will also do an immense good to her image which has come under serious scrutiny since the news broke. The government will then be able to continue to retain her service without doing any damage to its reputation which this matter threatens to smear.